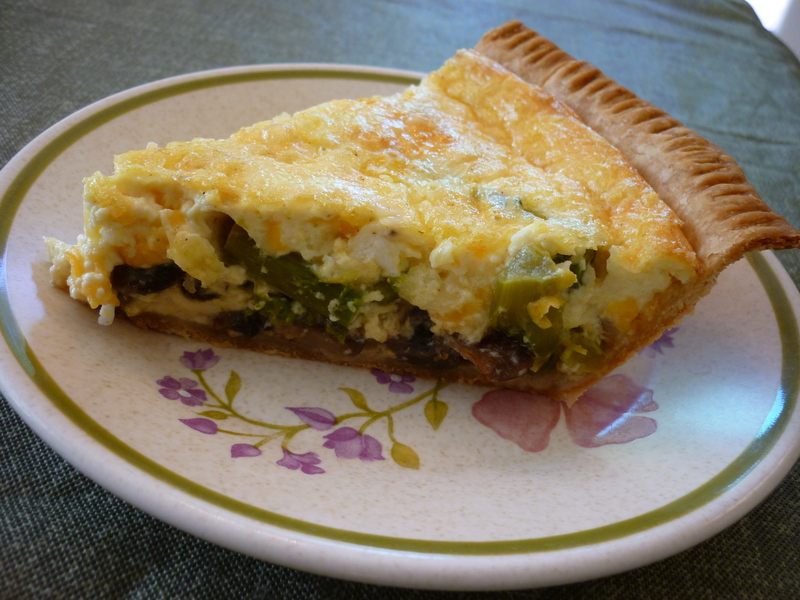 I made quiche today because my time to cook has been so sporadic that I wanted to make something that could be thrown into the refrigerator when finished, yet would make a nice lunch or light dinner without any further preparation. 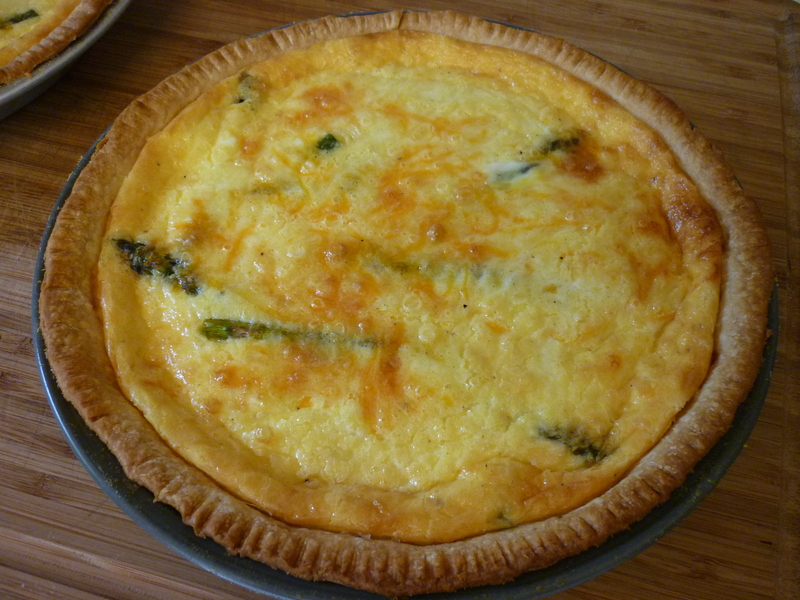 Quiche is basically a custard pie. If you have an uncooked pie crust and eggs and cream (or evaporated milk for you Bush types), all the other ingredients can be whatever you want. The basic custard proportions are 1 egg to 1/2 cup cream. 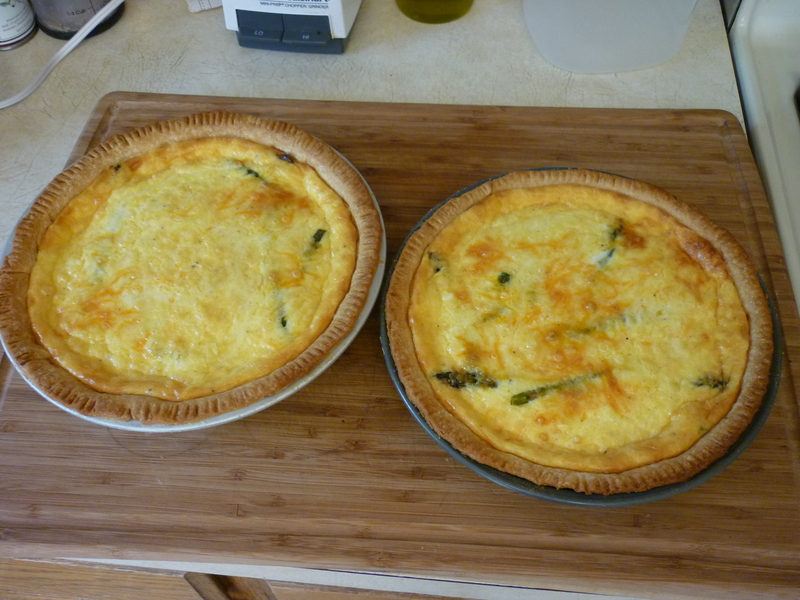 Today I made two 9″ quiches and used 6 eggs and 3 cups cream. 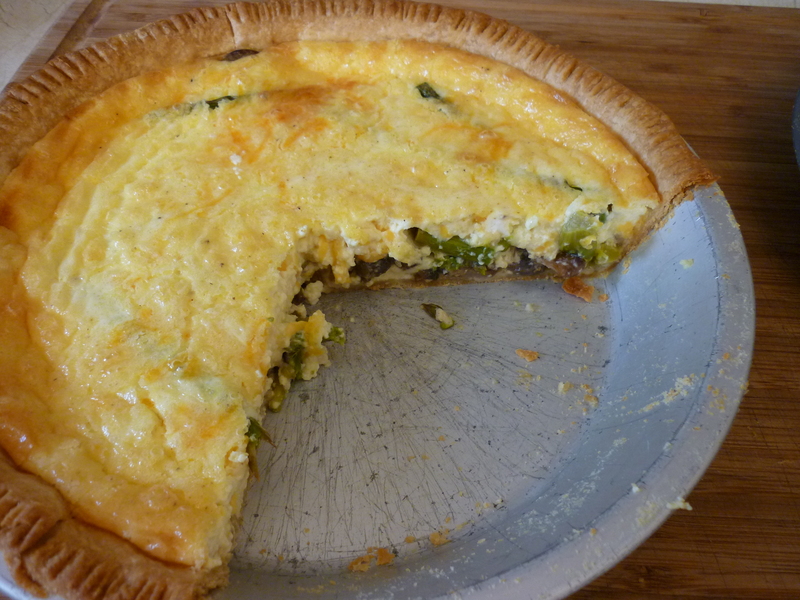 I’ve made quiche using canned salmon, ham, cheese, or broccoli. There are a lot of different things you can put into it. 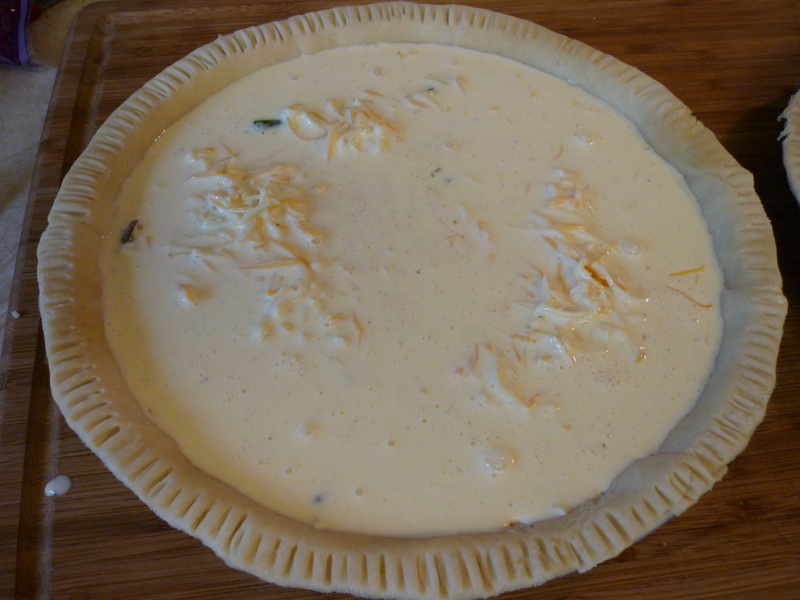 I have another recipe for quiche which calls for smoked salmon and uses cream cheese. Some day I’ll make that and post pictures/recipe. It’s sublime. For now, you get this. Preheat oven to 425 degrees. 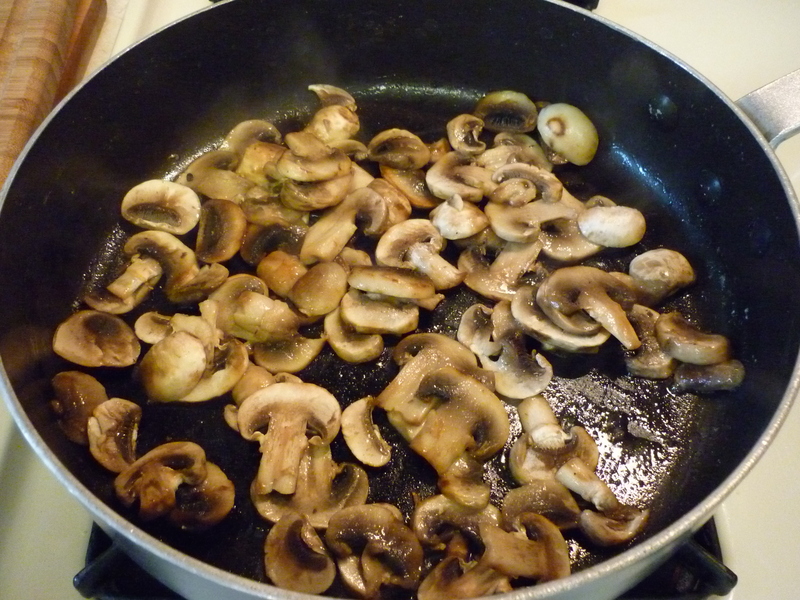 Saute mushrooms in butter until nicely browned, remove from skillet and set aside. Saute onions, asparagus, and garlic until onion is transparent and asparagus is cooked al dente. Set aside. Mix together eggs, cream, sugar, salt, pepper. 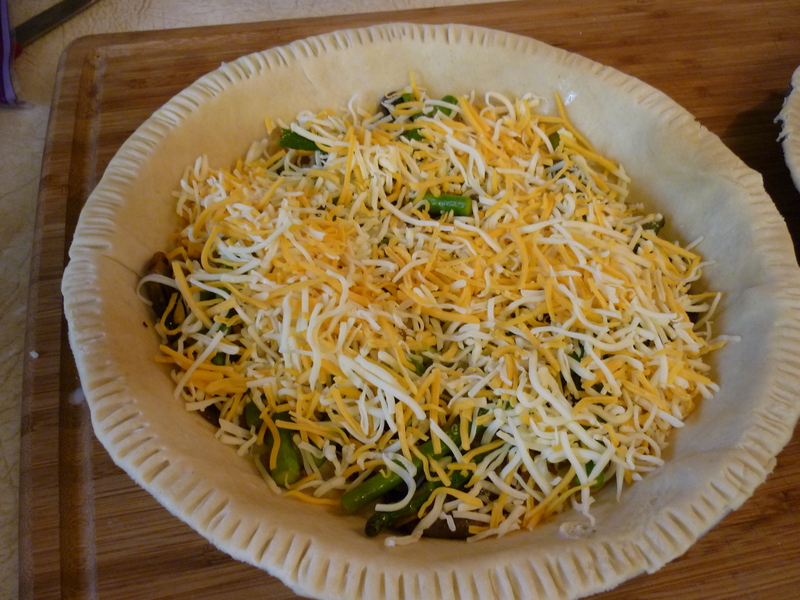 Prepare pie crusts into pans and distribute mushrooms and asparagus mixture evenly across the crusts. Sprinkle with shredded cheese. Pour the egg mixture over all. Place pies into oven and bake at 425 degrees for 15 minutes. Lower the heat to 300 degrees and bake an additional 30 minutes. A knife inserted into pie should come out clean. Saute mushrooms in butter until nicely browned. Saute onion, asparagus, and garlic. 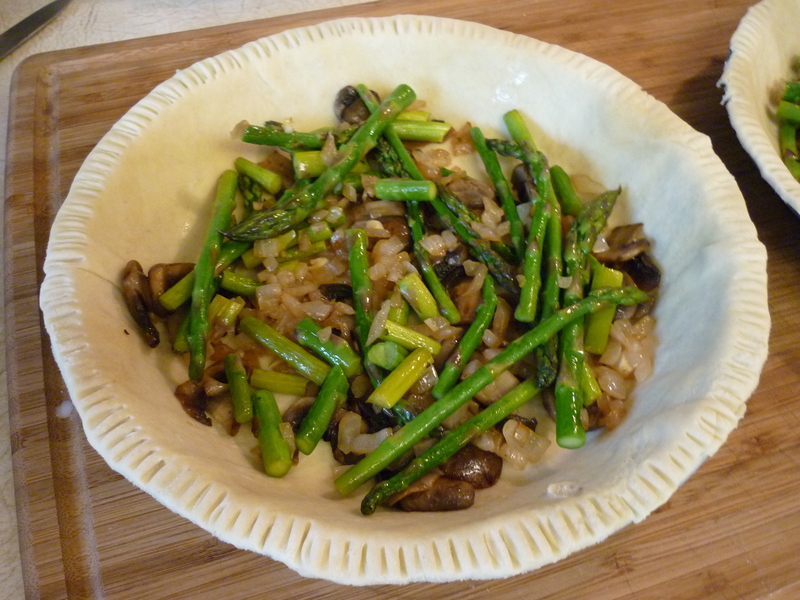 Distribute evenly across pie crust, along with sauteed mushrooms. Sprinkle evenly with shredded cheese. I used a Monterrey Jack/Cheddar blend. Mix together eggs, cream, sugar, salt & pepper. Pour over the other ingredients in the pie crust. Bake at 425 degrees for 15 minutes, then lower heat to 300 degrees and bake 30 minutes more. Remove when knife inserted into center comes out clean. Can be served hot, warm, or cold.